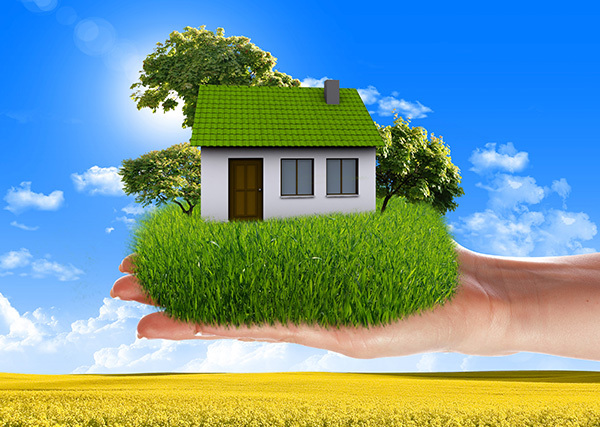 Sustainable materials, energy savings and smart home technology are high on the list of buyer wants in a home. But there are some other architectural and design trends that will change the way Americans live this year and beyond. When planning a remodel, it pays to pay attention to green features, as well as to improved floor plans that will make a home more comfortable, more appealing and more functional. Eco-consciousness and concerns about individual health and wellness prompted a return to natural woods and stone, as well as organic forms and living greenery. All are prominently featured in today’s show houses and and on design shows. For both residential and commercial design, there is renewed emphasis on the importance of natural light, views, air quality and open space as elements that affect not only mood and function but also health and well being. No matter what the design or decor, there is a way to incorporate previously used materials. Recycled plastic is commonly used for roofing tiles, carpet, insulation, composite lumber and decking material, decorative trim and landscaping rocks. Reclaimed beams, distressed wood flooring, stunning countertops fabricated from recycled glass, wood chips and even cardboard, are only a few trendy possibilities. For a planned remodel, be sure to investigate what’s available, including “repurposing” used building materials like old windows, vintage gates or antique furniture. Resource conservation and energy-savings are a way of life and worthy of attention. In some ways, Europe and Asia lead the U.S. in terms of conservation, but one way to assure that new homes are built to a certain standard is to insist on LEED certification, which stands for Leadership in Energy and Environmental Design. It’s a compliance and rating system for both residential and commercial construction that is recognized internationally. It would be difficult today to buy a new appliance or furnace that is not energy-efficient. But in an older home, even if existing appliances, faucets and fixtures, heating and cooling systems are still operational, it might be wise to consider replacing them. Sometimes the savings on monthly water and electricity alone makes financial sense. And new replacements always add to a home’s appraised value. There is ample evidence that buyers will pay a premium for solar homes. Although the initial investment is relatively high, an owner will benefit from an immediate reduction in energy cost, and the added property value might make such an investment worthwhile. Buyers today almost universally want a wireless security system and some form of programmable temperature control. Additional smart home features high on the list of consumer wants include lighting controls, wireless hubs that integrate entertainment and convenience features, and trendy apps that allow control of home functions via smart phone, whether from across the block or across the globe. Owners who are motivated to sell will look to these buyer wants in order to be competitive in today’s hot real estate market. ← What Changes Occurred In FHA And FNMA Rules During 2018?